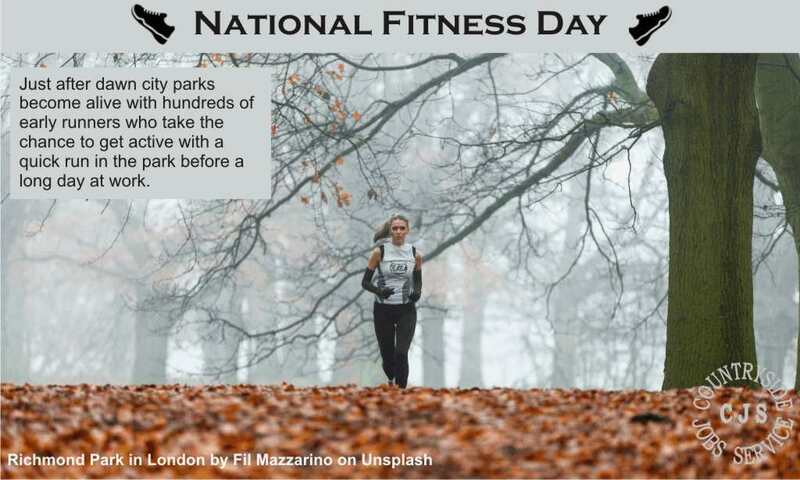 If you've been enjoying British Food Fortnight then today might be a timely reminder to burn off those extra calories! We know the benefits of regular exercise includes a healthier heart, increased wellbeing, and a better quality of life. However, many of us find getting fit a struggle. It becomes a challenge when it shouldn’t be – which is why ukactive hosts National Fitness Day: to highlight the simple and easy steps you can make to become more physically active and all the while enjoy it. Research shows that if you exercise in company, you are more likely to stick at it; the social atmosphere creates a positive environment which is important in helping us to have fun. So, grab a friend, family member, colleague, or team and join in on the most active day of the year to celebrate the fun of fitness! So why not take part in a parkrun? Or host one on your site? Find out more in this article: Much more than just a run in a park. Or perhaps you prefer to 'make a difference' whilst your exercise? In which case join a Green Gym. These are run by TCV and are a fun and free outdoor sessions where you will be guided in practical activities such as planting trees, sowing meadows and establishing wildlife ponds. Unlike other conservation projects, the emphasis is very much on health and fitness - volunteers warm up and cool down in preparation for a range of light to vigorous activities to suit all abilities. TCV say: "In fact, almost a third more calories can be burnt in some Green Gym sessions than in an average aerobics class!" Find one near you.